Amanda Scribante and Kieran Whyte break down the legal details and implications of the Western Cape High Court ruling to set aside government's nuclear cooperation agreements. On Wednesday 26 April 2017, the Western Cape High Court ruled that certain of the South African government's decisions in respect of the procurement of nuclear new generation capacity, were unlawful and unconstitutional and were set aside. This was a mere two days before the responses to the Nuclear Request for Information (RFI), as issued by Eskom Holdings SOC Limited (Eskom), were due for submission by interested parties. The deadline for submission was April 28, 2017. 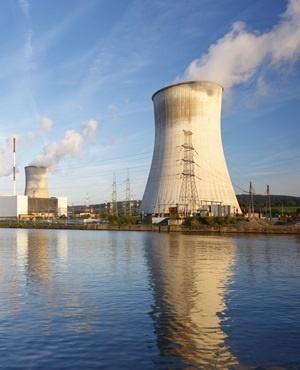 The applicants in the case - Earthlife Africa Johannesburg and the Southern African Faith Communities’ Environment Institute - challenged the various steps taken by the South African government in furtherance of its nuclear power procurement programme. The steps challenged were the two separate determinations made by the Minister of Energy in 2013 and 2016, respectively, in terms of section 34 of the Electricity Regulation Act, 2006; and the constitutionality of the tabling by the minister before Parliament of three intergovernmental agreements (IGA’s) during 2015. As to the first challenge, the applicants contested that both the minister’s decision as contained in the determinations, and the National Energy Regulator of South Africa’s (NERSA) concurrence thereof, were unlawful, unreasonable and procedurally unfair in that neither the minister’s decision nor that of NERSA’s was preceded by any public participation or consultation; the first section 34 determination was unlawful by reason of the two-year delay in gazetting it; and both determinations were irrational, unreasonable and taken without regard to relevant considerations or with regard to irrelevant considerations. The Court held that a rational and fair decision-making process would have made provision for public input, and that the non-transparent process adopted by the South African government for the procurement of nuclear power with “far reaching consequences” for the South African public and the allocation of resources by government was neither rational nor lawful. The Court held further that NERSA was under a statutory duty to act in the public interest and in a justifiable and transparent manner whenever the exercise of their discretion was required but also to utilise a procedurally fair process giving affected persons the opportunity to submit their views and present relevant facts and evidence. The Court stated that these requirements were clearly not met by NERSA. When reviewing the 2016 determination, the Court held that given the elapse of two years since NERSA’s concurrency in the 2013 determination, the reliance on the outdated Integrated Resources Plan 2010, and the changed format of the determination, most particularly in its designation of Eskom or its subsidiaries as the procurer in respect of the nuclear programme, it was, in the Court’s view, incumbent upon NERSA to afford members of the public and/or interested and affected persons an opportunity to influence the decision. As such, the Court held that both the 2013 and 2016 determinations were unlawful and unconstitutional, and were accordingly reviewed and set aside. As a result, the judgment has set aside any Request for Proposals or Requests for Information issued as a result of the determinations. The RFI as issued by Eskom is accordingly set aside. Given the submission date for responses to the RFI, April 28 2017, any party that has already submitted information under such process should carefully consider the RFI rules and notifications from Eskom, if any, as to the treatment by Eskom of such information. In terms of the IGA’s, the Court found the minister’s decisions to table the Russian, US and South Korean IGAs before Parliament in terms of sec 231(3) of the Constitution to be unlawful and unconstitutional, and such decisions were accordingly reviewed and set aside. The full judgment, which may be subject to appeal, can be accessed here. *Amanda Scribante, Associate, under the supervision of David Davies, Consultant, and Kieran Whyte, Partner, Energy Mining & Infrastructure Practice, Baker McKenzie, Johannesburg.